I think I need to start with a RepStrap first. I just want to get printing cool stuff, and building a plastic recycler. I think it would probably would be easier and far cheaper to get as many materials from the local McLendon's, Home Depot or Lowes piecemeal. I want a dirt cheap Strapped-Budget-RepStrap, especially since I am nearly dirt poor right now. I'll document what I find, and post a running tally of materials in case someone wants to build a printer out of whatever they have laying around. 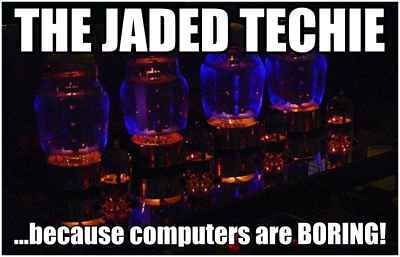 Today I was checking Home Depot to see what kind of rods they have, and to build a Mendel style printer would probably cost at least around $100 just in smooth and threaded rods, and none stainless steel. It would probably be cheaper to get a set of premeasured rods on eBay or Amazon...but I pay cash for everything, and avoid online purchases unless necessary, since when I want get as much as I can locally first. So Steel Rods and brass bushings is too expensive right now. I was inspired to look in Lighting for the aluminum extrusion they use in track lighting, maybe I would get lucky. ____Introducing the SHELFstRAP! I was instead drawn to the track shelving units you can fix to wall, and drop in supports and shelves on the notches. So I picked up a couple of these tracks below following to test out. I'll get some of the shelf supports to cut up with a Dremel and mount some skateboard bearings to make carriages: Rubbermaid 24" Single Track Upright (FG4A6701UTLTY) $2.50 ea (x2) These could go together like a sturdy Erector Sets with the right bolts bolts and a Dremel! I have been too busy raising a family, but still, after not updating this blog for 3 years it's high time to sweep out the cobwebs. Time for a random stream of consciousness. This is why they software was invented to do place and trace. 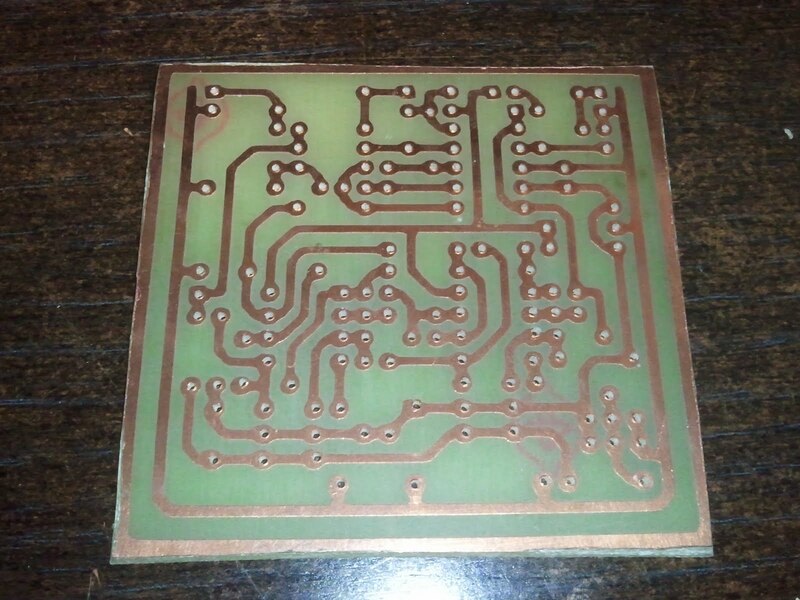 I recently discovered EAGLE PCB and am playing around with this now to do PCB work. 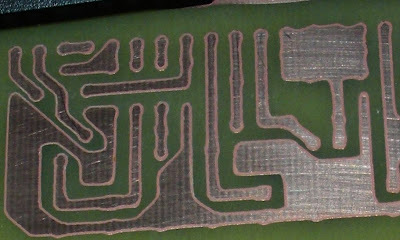 Still exploring methods of PCB manufacture, but the Cricut is put away for the time being. What's changed? For one, 3D printing has taken the world by storm. A fellow MSFT nerd and former coworker from 2008, Jerry, recently got me interested in the world of 3D printing after I discovered his Youtube channel, Barnacules Nerdgasm, and found him geeking out on maker technology in his videos.. But there was one booth he featured that stood out from the rest of the Maker Faire. There is a man from Togo, Afate of WɔɛLab, who built a 3D printer out of scrap E-waste. Running a hackerspace in his own country, they obtained a 3D printer, but when they wanted build another, they realized they could find all the materials they needed in the their own landfills. This inspired me that this is the kind of maker niche I want to get into, and also a printer I want to build. Anyone who has read my blog over the years knows that recycling and re-appropriating e-waste is something I enjoy. Seeing this kind of stuff stoked a fire and made me want to jump back into the maker game, full speed. So I challenge myself, to build a WAFATE printer completely out of eWaste. Why is this concept so incredibly difficult to master? I'm serious, it is literally an art-form to be able to take a basic one-dimensional logical schematic of a circuit, and design a two-dimensional (or 3D) physical layout on PCB's....and to do it efficiently. This is a mastery I have desired to perform for years, but alas I am a rank amateur at that, even a beginner. I am still having a hell of a time trying to wrap my head around the concept of layouts by ordering where components go on an X-Y grid and drawing traces between them, and I think I understand why people spend gobs of money to go to school to become Electrical Engineers. Luckily there is some software out there that can assist with the Layout portion of Electrical circuit designs. I will be evaluating some in the next few weeks and give my thoughts on each. It's been awhile since I posted, but am getting back into the hobby while I have the time available. Here is something I have been working on for the past couple of months when not busy with real life. I picked up a Dremel 4000 and workstation, turning it into a miniature drill press. 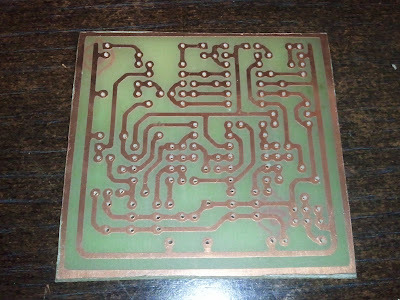 This board has about 200 holes in it, and it took me about 45 minutes for each one. 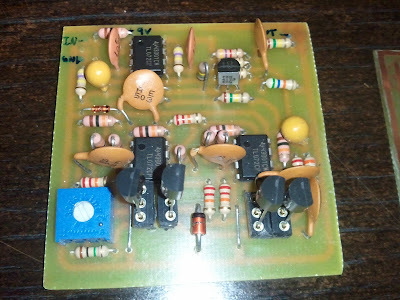 Here is one without the components. With the components placed on the second board. Here is what I was able to etch out of this. Still waiting on the Dremel I ordered to complete the board by drilling all the tiny holes in it. Cut it out, and applied it, and etched it. I missed the step this time of pressing it with a iron, so the undercutting was more extensive than the first one, with it going almost 1 millimeter under the vinyl.